Professor Dermot O’Hare was born in Newry, Co Down and studied at Balliol College, Oxford University, where he obtained his B.Sc. in 1982 and his D. Phil in 1985, under the direction of Professor M.L.H Green. Subsequently, he was awarded a Royal Commission of 1851 Research Fellowship. He was a visiting research fellow at CR&D E.I. du Pont deNemours in Wilmington, Delaware in 1986/7 were he worked in the group lead by Prof J.S. Miller on molecular-based magnetic materials. In 1987 he returned to Oxford to a short term lectureship and in 1990 he was appointed to a permanent University position and a Septcentenary Tutorial Fellowship at Balliol College. In 1996 he was honoured by the Institüt de France, Académie des Sciences as one of the top 50 leading scientists in Europe under 40 yrs. He was the Royal Society of Chemistry Sir Edward Frankland Fellow in 1996/97. In 1997 he was awarded the Exxon European Chemical and Engineering Prize. In 1998 he became Professor. 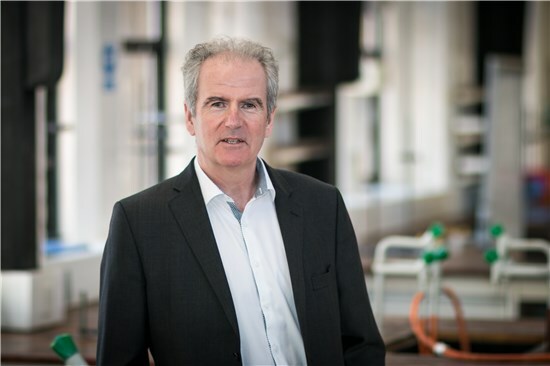 His interests are wide ranging, and include exploratory synthetic organometallic chemistry, intercalation chemistry, time-resolved, in situ diffraction studies and the synthesis of meso- and microporous solids. In 2010 he won the Royal Society of Chemistry’s Ludwig Mond award for outstanding research in Inorganic chemistry. His Research Group is hosted here, with our research interests and our publications.